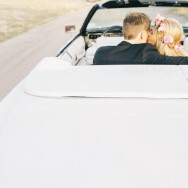 One of the best things to do on the weekend is to hop in the car and head out on a mini road trip. Does it get any better than a bucket of beers, a hammock nap and tons of sunshine? Pretty sure not. 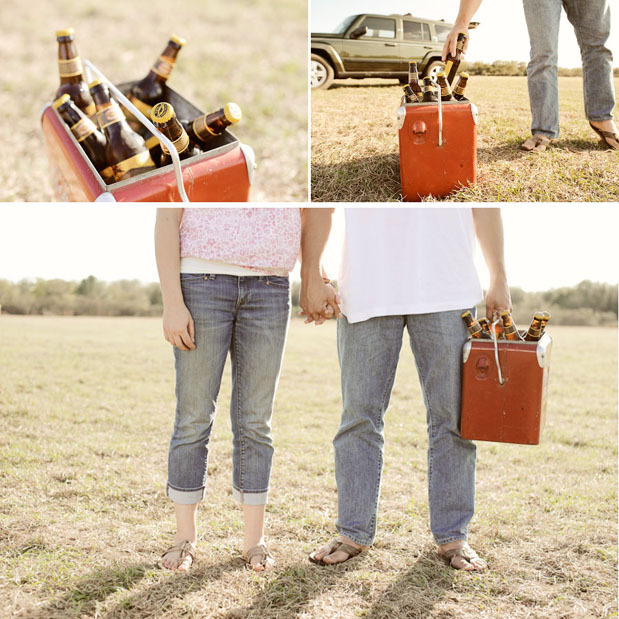 Here’s a really fun photo shot where the couple did just that–an engagement session on the road. 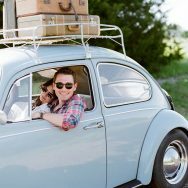 Special thanks to Sunglow Photography for sharing their work with us! 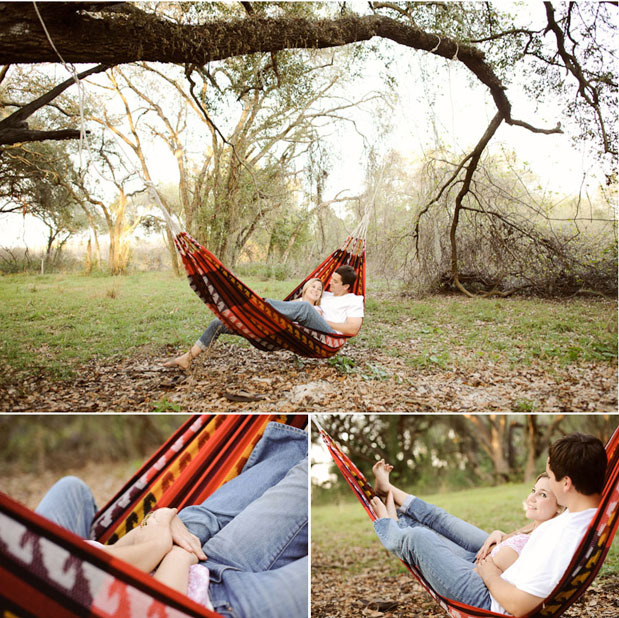 I looove this, especially the hammock photos! love the ones of them on the hammock! I love road trips! and this was captured beautifully. Thank you for sharing this...I'm inspired. When all I can see around is snow, thinking about sunny Florida makes me feel really good. I LOVE this! So carefree and beautiful... Amazing job, Sunglow!